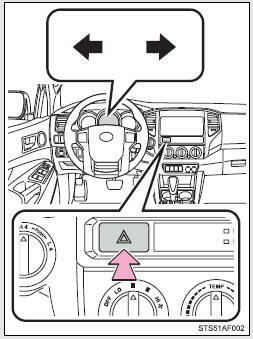 Use the emergency flashers if the vehicle malfunctions or is involved in an accident. Press the switch to flash all the turn signal lights. To turn them off, press the switch once again. Do not leave the emergency flashers on longer than necessary when the engine is not running.